Dr. Dennis Kucik, specialized in Clinical Pathology and Blood Banking/ Transfusion Medicine, graduated from the Washington University School of Medicine. 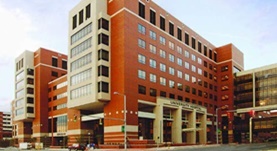 An internship program followed, at Barnes-Jewish Hospital, as well as the completion of his residency at the same institution. Having a career in medicine of nearly 30 years, Dr. Kucik has also contributed to multiple publications. 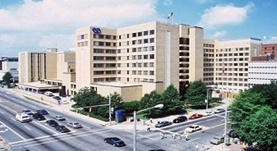 At the time, he is practicing at University of Alabama Hospital and Birmingham VA Medical Center, accepting numerous types of insurance such as Cigna, First Health PPO, and UnitedHealthcare. Dr. Dennis Kucik has contributed to 3 publications. Heavy-ion (56Fe) irradiation leads to impaired aortic relaxation prior to atherosclerotic plaque formation in ApoE-/- mice. White, C. R.,Yu, T.,Gupta, K.,Kabarowski, J. H.,Kucik, D. F.; J. Radiat. Res.. 2014 Mar 04. Multiple lupus associated ITGAM variants alter mac-1 function on neutrophils. Zhou, Y.,Wu, J.,Kucik, D. F.,White, N. B.,Redden, D. T.,Szalai, A. J.,Bullard, D. C.,Edberg, J. C.; Arthritis Rheum.. 2013 Aug 5. SDF-1α (CXCL12) regulation of lateral mobility contributes to activation of LFA-1 adhesion. Wu, X., Yu, T., Bullard, D. C., Kucik, D. F.; Am J Physiol, Cell Physiol. 2012 Sep 15.